Dato Ir. Abang Jemat Abang Bujang, aged 64, was appointed Independent Non-Executive Director on 25 July 2003 and he was redesignated as Non- Executive Director on 14 March 2005. On 21 March 2011 he was reinstated as Independent Non-Executive Director. He holds a Bachelor of Engineering (Electrical) from Newcastle University, New South Wales, Australia. He is a registered Professional Engineer with the Board of Engineers, Malaysia and also a member of the Institute of Engineers, Malaysia. 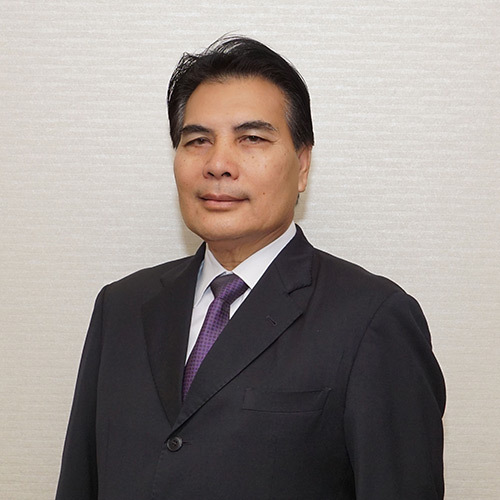 He joined Telekom Sarawak as a Telecommunication Engineer from 1979 to 1986 and assumed the post of Director of Telecom Department Sarawak from 1987 to 1990. He was the General Manager of Syarikat Telekom Malaysia Sarawak Region from 1995 to 1998. Subsequently, from 1999 to 2000, he served as the Chief Executive Officer of TM Cellular Sdn Bhd, a wholly-owned subsidiary of Syarikat Telekom Malaysia. From 2001 until his retirement on 31 October 2012, he was the Managing Director and Chief Executive Officer of Sacofa Sdn. Bhd. He was awarded the Pingat Perkhidmatan Bakti (PPB) in 1997 and Panglima Setia Sarawak (PSPS) in 2011 by TYT Yang Di-Pertua Negeri Sarawak.